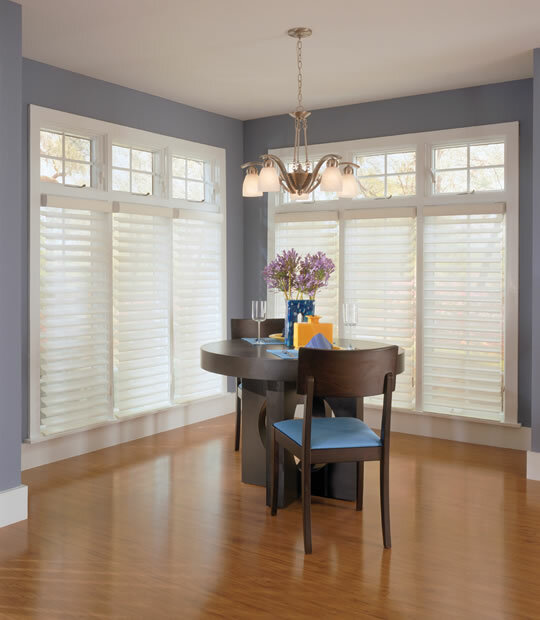 Give your windows a luminous glow in addition to complete privacy. 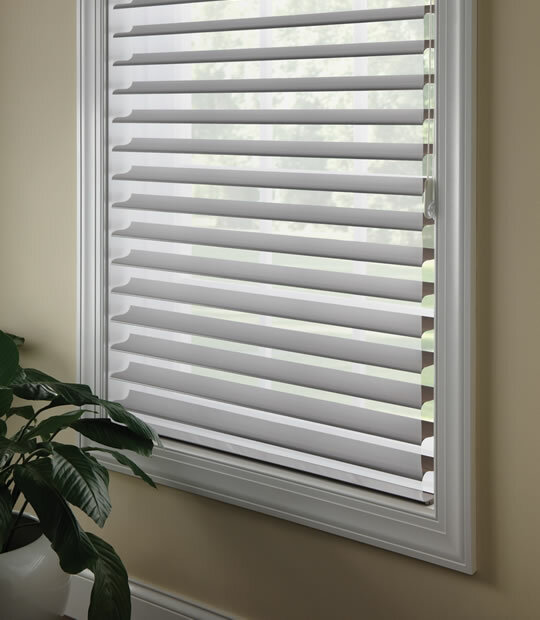 Similar to blinds, these window shadings feature soft, translucent fabric vanes suspended horizontally between two sheer layers of fabric. When lowered, the vanes may be tilted at any angle—from fully open to fully closed. Available in an array of linen solids and colored textures, these light-filtering shades offer both seclusion and luxury. When the shades are raised, the fabric is concealed within the color-coordinated headrail, and you're able to see out without any obstruction. They can also be motorized for ease of use or with continuous cord loop. They also give great curb appeal. They come in 2" and 3" vanes in light filtering and room darkening fabrics. 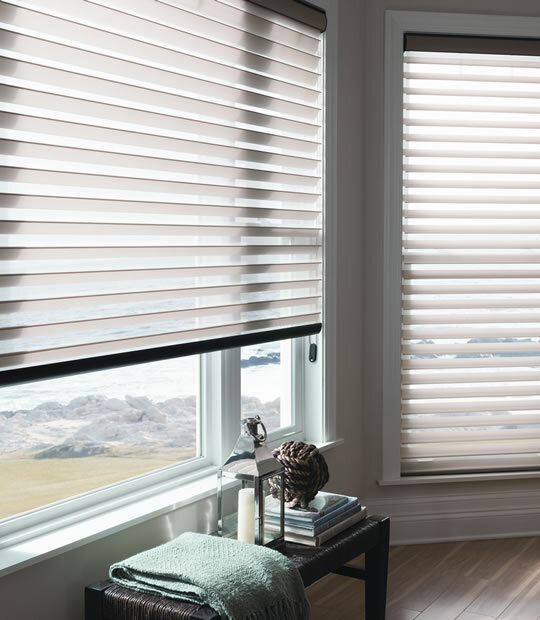 Sheer shades are innovative products to offer the privacy benefits of a window shade with the softening view of a sheer. 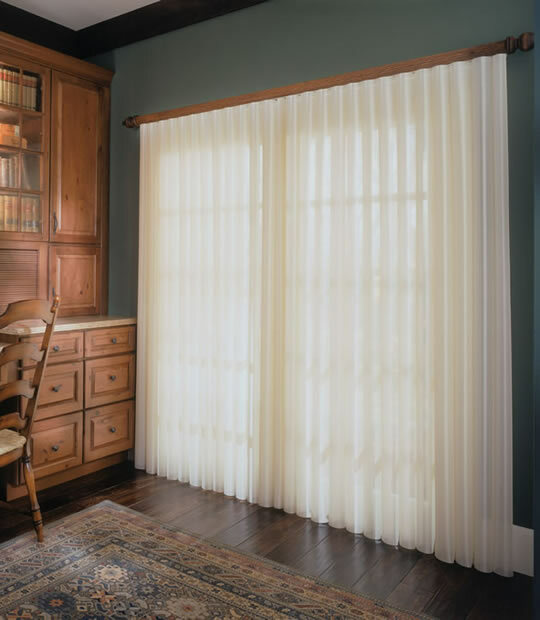 Our sheer shades immerse your decor in soft, flattering light, filtered to protect furnishings from sun damage without interfering with your outside view. Additionally, they delicately filter incoming sunshine to create an inviting room ambience. 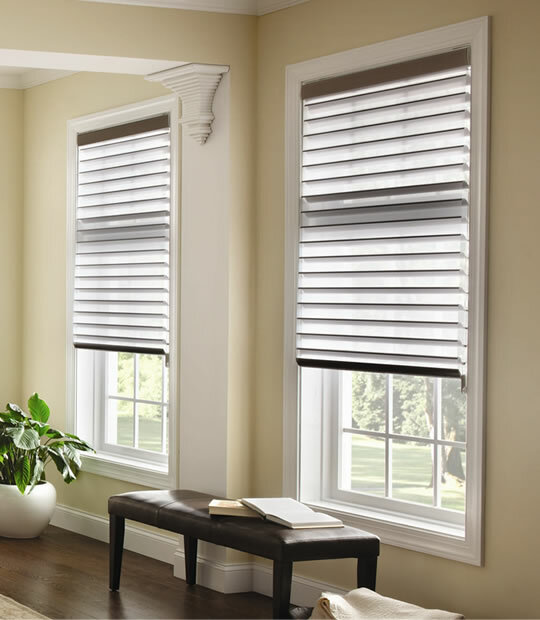 With ample of home blinds products, we offer you an opportunity to choose the vane size that best matches your window dimensions and view needs.